If you need to keep flood-prone areas dry, the PH-6 self-priming pump from Phantom Pumps is the submersible pump you need. Our PH-6 high pressure pump is an outstanding submersible pump and useful in many fluid processing applications such as wastewater treatment, food processing and more. The entire Phantom Pumps product line features easy to install self-priming pumps that require little to no maintenance. Almost every product we manufacture, from a submersible utility pump or trash pump to an ASNI pump, DPUMPS pump and more, is compatible and interchangeable with leading pump brands such as Gorman Rupp, All Prime, ESCO Pumps and others. We are your low cost pump equipment alternative. Your organization can reduce operation costs when you substitute a name brand pump with a self-priming pump from Phantom Pumps or substitute our parts for brand name replacement parts. Every piece of pump equipment manufactured by Phantom Pumps is built to the highest industry standards, so you can rest assured that your facility is operating with high-quality equipment. We assemble, test and package our equipment in the United States to ensure our own quality control standards are met along with those set by the industry. Better still, the Phantom Pumps submersible pump, metering pump or other pump purchased for your fluid processing operation is covered by a one-year warranty. Long gone are the days of trying to determine which submersible pump will work best for your facility. 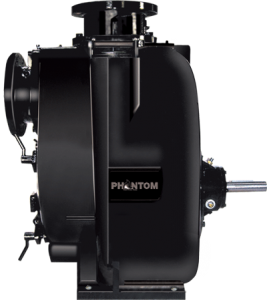 Our staff of processing experts at Phantom Pumps is second to none. They can cross-reference our compatible pump to your brand name submersible utility pump and get your pump or parts shipped out to you quickly. Contact us today to learn more about our quality submersible pumps and replacement parts or for the location and contact information of your nearest Phantom Pumps distributor.